The world has been waiting for the announcement of the new discovery of a new tomb in Luxor according to the Minister of Antiquities invitation to the media to cover the press conference scheduled on Saturday the 9th of September. 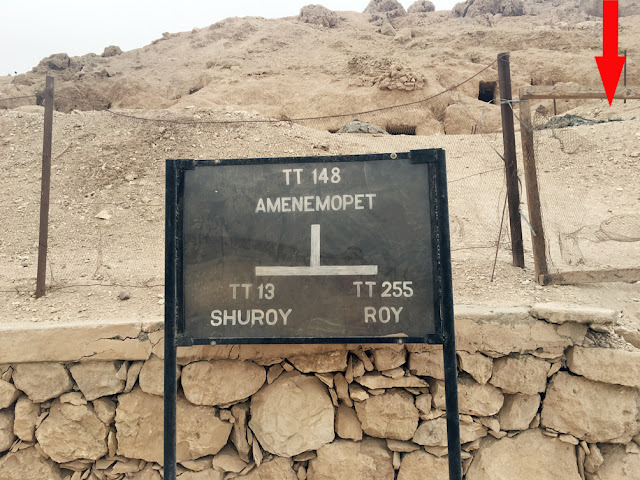 The discovery of the tomb itself was announced in April between the lines. On April 18th when a press conference was held at Dra Abu El-Naga on the West Bank of the Nile in Luxor, Dr. Mostafa Waziry said the following in the video below. The links HERE and HERE shows you the exclusive videos and photos of the discovery of Userhat tomb in April and the exhibition at Luxor Museum for the finds of the tomb in May. Then, we knew there are already two tombs discovered sharing the same courtyard with Userhat tomb which were revealed after removing about 450 cubic meters of debris is a few weeks of work. "Hurray ... The spirit of Petri was around then." 1. A new tomb of the 18th Dynasty. 2. The tomb was previously unknown. 3. The tomb is of a small size, probably one square room with a niche in the middle of the northern wall. 4. The tomb owner is a high official “Probably a Priest served at a nearby mortuary temple” of the 18th Dynasty whose name was previously unknown. 5. The location is to the south of tomb of Userhat at a higher level of Userhat tomb and the entrance was under the steps leading to TT148. 6. The tomb shares the courtyard with the tomb TT300. 7. The tomb was reused as a group burial for the poor ancient Egyptian people probably by 21st and 22nd Dynasty. Many family mummies and remains. 8. A large number of Ushabtis, Coffins, human remains, pottery, faience figurines and wooden masks were discovered so far. 9. Burial shaft filled with human remains. Excavation still ongoing. 10. 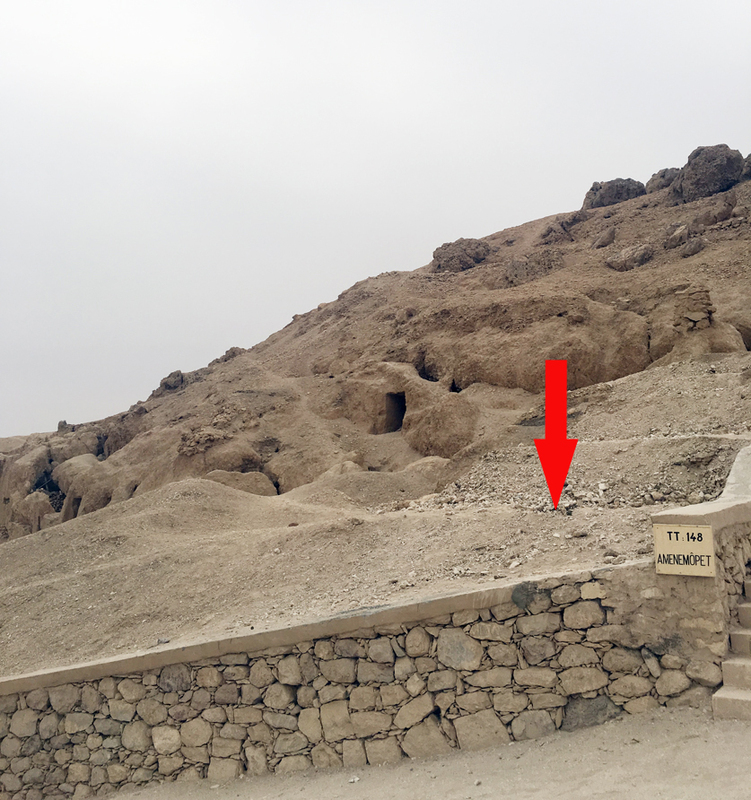 A burial shaft was discovered to the east of the entrance to the tomb contains many humans remains to family members. This shaft is not connected to the tomb as far as we know. 11. The glass displays are being set to exhibit the new finds at the site for the media. Tune in Luxor Times Facebook page for the live stream of the press conference tomorrow morning between 7:30am and 8am GMT to find out all the details with exclusive coverage, interviews and footage of the new finds.